Higher education marketing involves a lot of moving parts: you should account for prospective, current, and graduated students to make the most of your admissions funnel. For this post, we’re going to focus on prospective students, how to attract them, and how to keep them engaged until they convert (aka enroll). Once you determine your target audience and what motivates them (and everything in between), you can begin constructing your prospective students’ journey, like the one below. Students today rely heavily on social media, search engines, websites, and digital content to consume information. 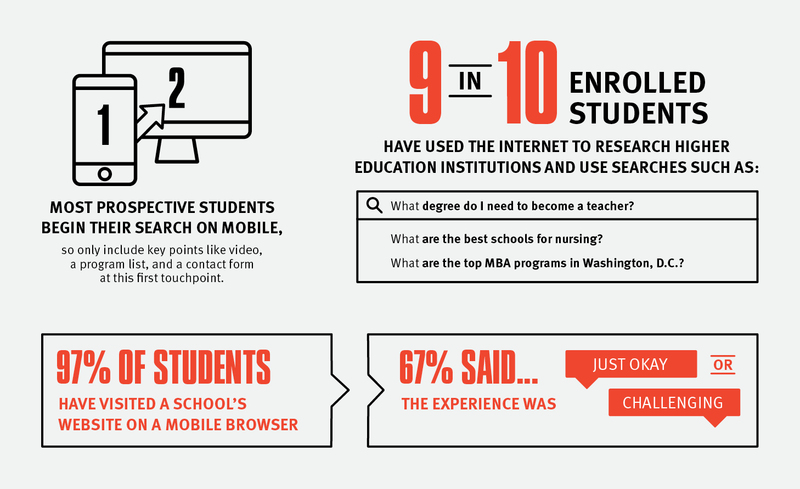 Students conduct more searches on mobile than desktop, so your institution’s website should be mobile-friendly. While most students use their mobile device to begin their research, 50% of them end up on desktop. This means you should show your school’s key selling points on mobile in an easily digestible format and leave more detailed information for their desktop experience. While we’re on the topic of your website, make sure it’s easy for visitors to enter their email address for more information and how to get in touch. This will help you capture leads and send follow-up emails directly to willing recipients. After all, 95% of website visitors don’t convert on their first visit. You can help move them along their journey (and ensure they come back) by reaching out to them via email and other remarketing strategies. Now that you have your prospective students interested in your institution, you must encourage them to engage with your school’s content, news, and other material. Remember: you’re continuously leading them down this path until they enroll. Keep them excited with interesting content like guest speakers, athletic teams, major events, and student awards. Show them the perks about being a part of your world, and what they can expect—and look forward to. Besides your landing page, social media channels also prove effective for engaging a student audience. 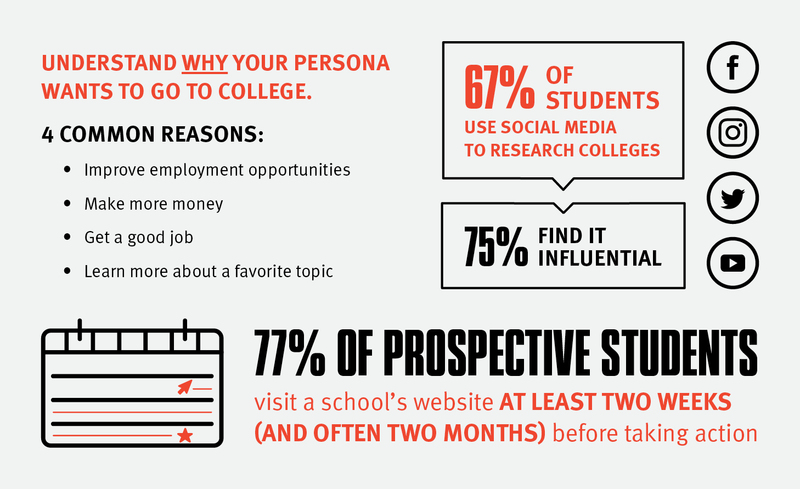 75% of students think colleges should have a presence on social media, but only 40% of those students find the schools’ content relevant. Other digital channels to explore are display and retargeting ads. For those students who don’t enter their emails or otherwise “covert” on their first visit, implementing a remarketing campaign is an easy—and cost effective—way to carry students through the admissions funnel. 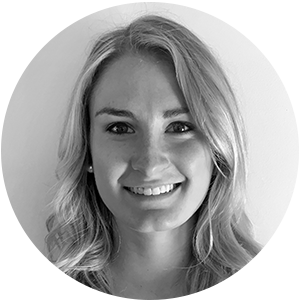 You’ve now attracted and engaged your ideal prospective student, but how do you close the cycle? When it comes down to making a decision, students depend on a variety of factors, including majors and programs offered, availability of financial aid, location and campus culture, and graduates finding full-time employment. While some of these reasons may be out of your organization’s control, the others are worth highlighting in your content marketing strategy and other advertising efforts to seal the deal. 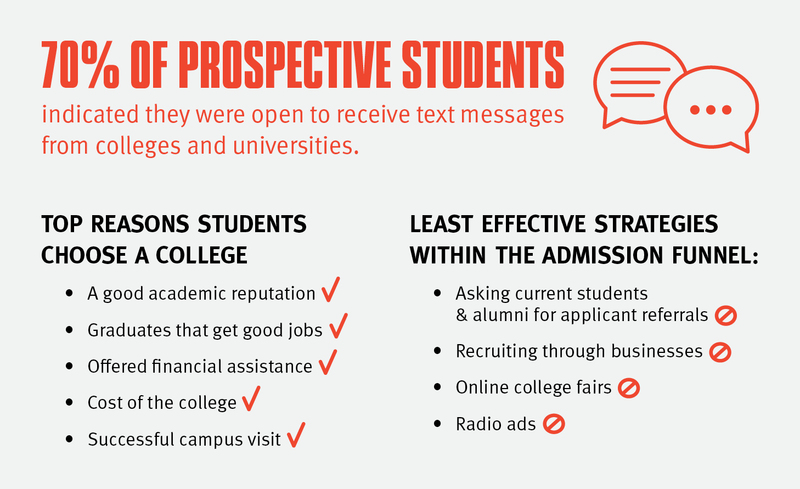 A college website is still the #1 way to communicate with prospective students but email and text messaging are tied for a close second. Reinforce your messaging with follow-up emails, blog articles, and social media posts to show students the value you can offer them. To continue this successful student journey after they graduate, consider other factors like word-of-mouth marketing and satisfaction rate. Are your students and alumni happy with your institution? If so, retention rates, completion rates, and alumni giving are bound to increase. Need help developing or improving your higher education marketing materials? Take our higher education quiz to determine what your strategy is missing or get in touch with us—we’re ready to help.